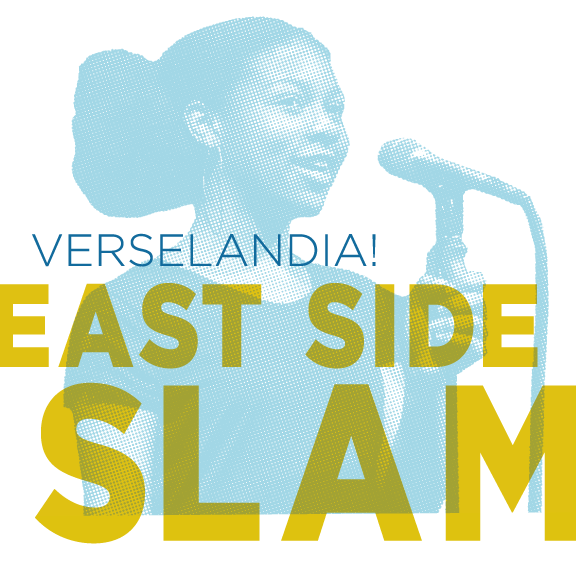 Thirty students from all the PPS high schools rocked the Mission Theater during the first city-wide slam poetry competition, Verselandia! Three students from each school (who had won their school’s playoffs) had three minutes each to perform an original poem. Names were drawn at random from a fishbowl and a panel of five judges held up scorecards after each performance. 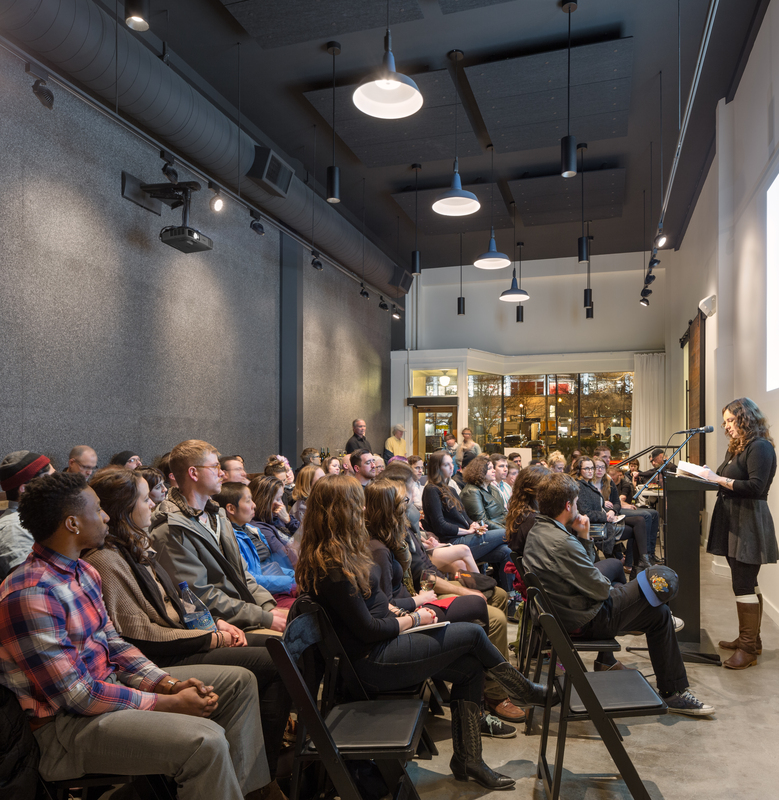 This was no poetry reading. With a rowdy crowd, an energetic host (the fantastic Anis Mojgani, whose performances on YouTube can bring people to tears), and students with impressive stage presence, it was an entertaining evening. But beyond that, the amount of heart each poet put into their work–including every messy emotion a person can feel–often moved the audience to their feet. There were tales of roller derby bravery, explanations of the perks of dating a nerd, and one student even asked another student to prom. After the first round, the fifteen students with the highest scores performed a second piece. Then while the judges tallied the scores, Anis Mojgani performed two poems. For all the performances, the audience listened in pin-drop silence, gasped, murmured in agreement, and burst into applause. Finally, five winners were selected. The two runners-up received $250 gift cards to NorthFace and the three winners received iPads. (Thanks to our generous sponsors!) 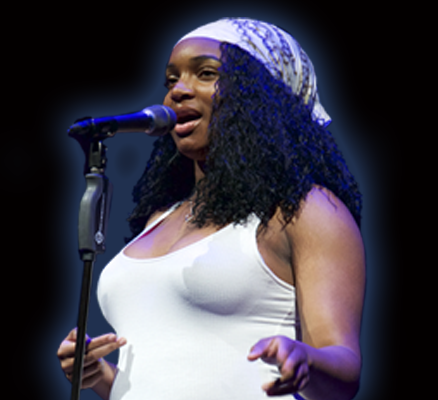 Congratulations to not only the five winners, but to every student who took the stage at the Mission and who participated in the school slams at Benson, Cleveland, Franklin, Grant, Jefferson, Lincoln, Madison, Metropolitan Learning Center, Roosevelt, and Wilson high schools. We’re already looking forward to next year!